When planning equipment for the food and beverage industry, the gentle handling of the subsidized products is a top priority. 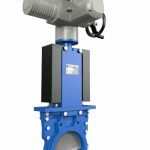 EBRO valves and actuators designed according to these specifications and safely applicable to processes with critical products. Butterfly valve series Inflas, designed and equipped with a sealing system pressed on to the disc after the closing operation. In this way, the grinding or crushing of the feed-through products is effectively prevented. The Z 011-A, a resilient seated and universally applicable wafer type valve and manufactured acc. to EN 593. For potable water the Z 011-A Water, a resilient seated butterfly valve certified by DVGW. The stainless steel split body type Z 614-K, used in the food and beverage industry. High performance valves like the HP 111 wafer and the HP 114 lug are best for high pressure and temperature applications. 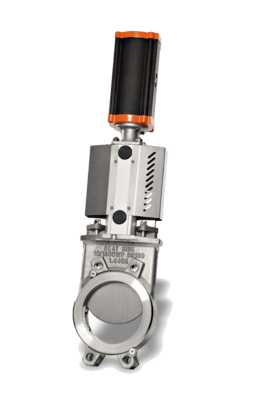 Series TW-M butterfly valve has a stainless steel insert ring instead of an elastomer seat also a light metal body. Lug Type WB 14 knife gate valve for water are bi-directional and installed into pipe systems independent of pressure direction. 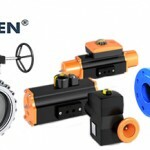 Full bore and excellent flow makes these suitable for fluids and sludge, also liquids with solids in suspensions such as water, sewage and bio mass.